WASHINGTON, D.C.—It was supposed to be over. When the Harvard Corporation voted to approve the College’s controversial social group penalties in Dec. 2017, many thought the University’s highest governing body had ended the debate once and for all. The vote followed 19 months of controversy and conflict over the sanctions, which—starting with the Class of 2021—bar members of single-gender final clubs and Greek organizations from campus leadership positions, varsity athletic team captaincies, and certain prestigious fellowships. By the time Corporation members jetted into Cambridge Dec. 4, the College had formed two separate committees tasked with scrutinizing the policy, held one full Faculty vote on the subject, and produced three reports on the sanctions together totaling more than 90 pages. The Corporation’s historic intervention in undergraduate social life was not only meant to close the chapter—it was meant to ensure the chapter remained closed. In a letter announcing the vote, University President Drew G. Faust and Corporation senior fellow William F. Lee ’72 wrote the Corporation acted in part to ensure Faust’s successor could not alter the penalties. “The decision announced today is not contingent on the occupant of Massachusetts Hall,” Faust and Lee wrote. Congress, though, had other plans. Just eight days after the Corporation voted on the penalties, legislators approved an amendment to an until-then unrelated piece of legislation that ignited a new and possibly existential threat to the sanctions. The amendment—a rewrite of the PROSPER Act, a higher education bill currently pending before the United States House of Representatives—could severely imperil Harvard’s ability to enforce its penalties. The legislation forbids colleges and universities from penalizing students who join certain single-gender social organizations; pending slight alterations, it could force the University to choose between the sanctions and millions of dollars of federal research funding. Aware the bill forms a powerful opportunity, some final clubs and Greek organizations are now latching on to the PROSPER Act as their last and best hope to cancel the sanctions barring a lawsuit. The social groups—some of them veteran lobbyists, some lobbying for the first time—are flocking to the nation’s capital in an effort to convince Congress to champion their cause. Harvard has not sat idly by. Mobilizing its increasingly complex lobbying strategy—already “ramped up” in response to Donald Trump’s ascension to the presidency—the University has argued it would be inappropriate for Congress to intervene in private Harvard matters. As the sanctions debate edges towards the national stage, lobbyists on both sides face a new challenge: they must convince Beltway insiders the social groups provision is key to legislation some lawmakers and analysts say contains far more significant measures. For the first time in the history of the penalties, Harvard and its social groups must contend with the fact that the University’s social group policy is wholly unimportant to many who could determine its fate. When Neal McCluskey—director of the Cato Institute’s Center for Educational Freedom—learned some final clubs and Greek organizations had retained the Washington, D.C.-based lobbying firm Arnold & Porter, he was taken aback. “Oh, they’re really serious,” he said. Sitting in his office, surrounded by books including the Anti-Federalist Papers and John Locke’s political treatises, McCluskey explained Arnold & Porter has a top-notch reputation in Washington. The social groups could use the firm’s “connections to talk to the right people,” he said. McCluskey added Arnold & Porter will facilitate the “kind of in-person lobbying” that is “most effective” on Capitol Hill. 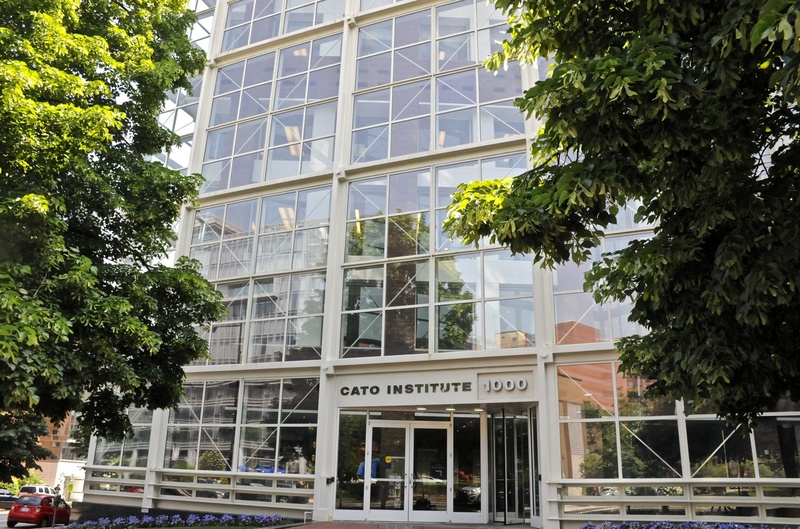 The Cato Institute building in D.C.
Arnold & Porter is working with two sets of social groups leading the charge against Harvard’s sanctions: the Cambridge Coalition and the Fraternal Government Relations Coalition. The former—comprising all-male Harvard final clubs the Fly Club, the A.D. Club, and the Porcellian Club, as well as the Cambridge chapters of Sigma Chi, Sigma Alpha Epsilon, and Delta Kappa Epsilon—formed in recent months specifically to lobby against Harvard’s policy. The lobbying firm’s second client has a longer history and a broader reach. FGRC includes the North American Interfraternity Conference, the National Panhellenic Conference, and the Fraternity and Sorority Political Action Committee, the premier political arm for Greek organizations in the United States. FGRC has worked with Arnold & Porter since 2015. The two coalitions differ in the scope and size of their constituents, in their levels of Washington expertise, and in the range of their interests. Nonetheless, the Cambridge Coalition and FGRC are now entering into an unusual marriage—they have retained the same lobbying firm and are represented by the same lead lobbyists. They have spoken to lawmakers as a team. And they share at least one common goal: cancelling Harvard’s sanctions. “I’ve been very impressed with how they’ve melded together on this one cause,” said Richard T. Porteus, Jr. ’78, the graduate president of the Fly Club. Porteus said the two groups are pursuing the same broad lobbying strategy: meeting in person with key legislative players who have the ability to shape the PROSPER Act and bolster its chances of success. 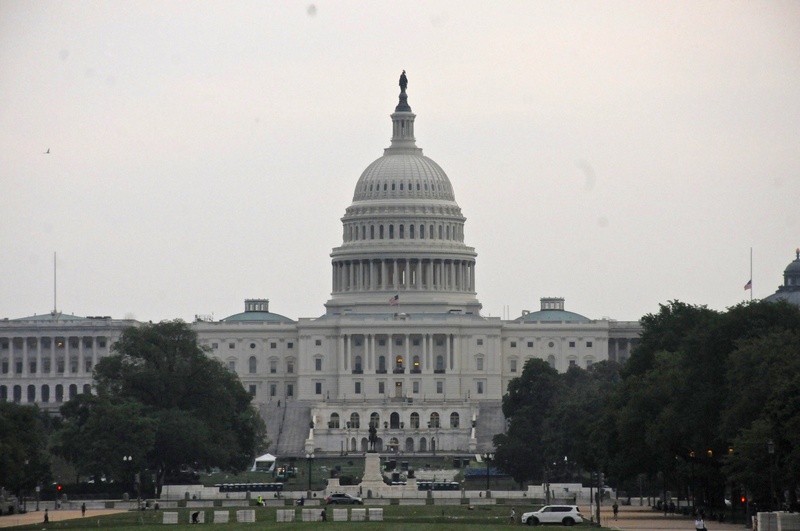 The act, meant as a reauthorization of the Higher Education Act of 1965, was voted out of the House Committee for Education and the Workforce in Dec. 2017. But its future is by no means certain; in order to become law, the legislation must pass both the Senate and the House. It is currently unclear whether the bill could garner majority support in either chamber of Congress. Both the Cambridge Coalition and FGRC likely especially care about a single word embedded in the legislation: “recognized.” The draft of the PROSPER Act now before the House specifies that colleges and universities cannot punish students in “recognized” single-gender social groups—private institutions that choose to do so could become ineligible for federal support including research funding. 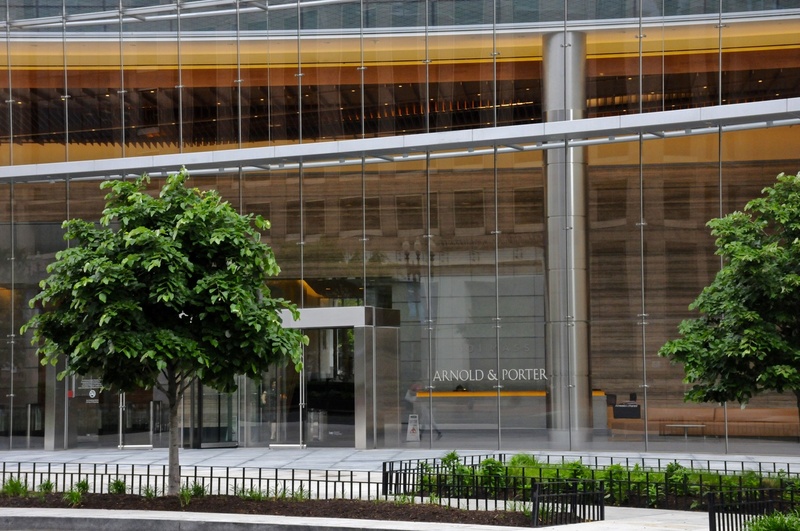 Arnold &amp; Porter is a top lobbying firm in D.C. The word “recognized” means the legislation in its current form does not apply to Harvard, whose final clubs and Greek organizations have been unrecognized since 1984. As the House and the Senate work through versions of the PROSPER Act, the coalitions have a window of opportunity to alter this language. As part of this effort, the groups are particularly targeting lawmakers who sit on the House Committee on Education and the Workforce and on the Senate Committee on Health, Education, Labor & Pensions, the group responsible for drafting the Senate version of the PROSPER Act. In April 2018, the two coalitions sent representatives to Washington, D.C. Judson Horras, the president and CEO of NIC, said social group alumni and current undergraduates—including College students—met with more than 450 lawmakers, representing roughly 80 percent of voting members of Congress. Dani Weatherford, executive director of NPC, said more than 200 individuals participated in that effort. The social groups are also digging into their pocketbooks. The Cambridge Coalition spent $40,000 in the first quarter of 2018 lobbying around “issues related to the reauthorization of the Higher Education Act,” according to publicly available records. In that same time period, public filings show FGRC spent $50,000 lobbying around the PROSPER Act. The first quarter stretches from Jan. 1 to March 31. For at least one member of FGRC—FSPAC—activity around the PROSPER Act matches a longstanding pattern. Established in 2005, FSPAC has long sought to influence higher education laws. But the group now seems to have zeroed in on Harvard’s sanctions; FSPAC added a member of the Porcellian Club to its 2017-18 board of directors. In addition, publicly available documents show FSPAC earmarked some of its 2017 donations for three Republican legislators intimately involved with the PROSPER Act generally and the social group provision specifically. The PAC gave a total of $22,000 to Representatives Virginia Foxx, a North Carolina Republican who introduced the act; Elise M. Stefanik ’06, a Republican from New York and a vocal supporter of the social group provision; and Brett Guthrie, a Kentucky Republican who introduced the amendment containing the provision. Foxx and Guthrie each received $10,000, while Stefanik pocketed $2,000, according to the documents. Horras said the social groups believe it is important to defeat Harvard’s sanctions not only to protect single-gender organizations at the University but to broadly defend students’ Constitutional right to freedom of association. Harvard picks its battles on Capitol Hill. “You can be worried about everything, but we try to calibrate what we think is actually in the realm of possibility on the Hill and then engage to make a difference,” she said. Rep. Guthrie’s Dec. 2017 decision to introduce the social group provision raised the PROSPER Act to that realm of possibility. In the months since, Harvard has indicated it is willing to fight against the legislation—and for the sanctions. Earlier this year, Faust sent a letter to Stefanik denouncing the PROSPER Act’s social group provision. In the letter, Faust wrote she feels the amendment constitutes a distressing and intrusive effort on the part of Congress to dictate private universities’ internal policies. “I worry [the provision] represents an effort by Congress to regulate student life and the shape and character of private institutions in a way that threatens to undermine that diversity of choice and experience,” Faust wrote. In a May interview, Faust charged that support for the PROSPER Act’s social group provision runs counter to broader Republican principles. “This legislation is not specific to Harvard and will protect Constitutional liberties on campuses across the country,” Flanigin wrote. The University, meanwhile, is backing its words with its wallet. In the first quarter of 2018, Harvard spent roughly $160,000 lobbying around a number of bills including the PROSPER Act, according to public filings. And Faust is not the only Harvard administrator who has spoken out against the bill. Dean of the College Rakesh Khurana—who has largely become the face of the sanctions on campus—has also said he thinks the PROSPER Act’s social group provision is misguided. Khurana has said he believes the outcome of the fight over the penalties will determine the College’s ability to live up to its mission statement. The dean—who often repeats all 136 words of the mission from memory—has argued the final clubs’ exclusive membership practices go against Harvard’s commitment to non-discrimination and inclusivity. Khurana and Faust have both said they are not in contact with members of the Cambridge Coalition. In an April interview, Khurana offered a theory as to why members of single-gender social groups are lobbying against the sanctions. The PROSPER Act is over 600 pages long and contains dozens of sections. Just one section of the bill addresses campus social groups—that provision totals three pages. Some lawmakers and analysts say the provision that could determine the fate of Harvard’s social group policy is rightly buried in a bill that affects much more pressing legislative issues like financial aid and student loans. When Arnold & Porter produced an internal analysis of the top 10 policy issues at stake in the PROSPER Act in March, single-gender social groups did not make the list. McCluksey said much of the concern and debate around the PROSPER Act in the House will likely center on issues of federal education funding and first amendment rights. “It’s a fun thing to talk about, but when you get into the law itself, it’s going to be totally dominated by spending issues and how many aid programs you have and not really the more social stuff,” McCluskey said. He added legislators will likely also focus on “issues of free speech” and what he called the “shouting down” of controversial speakers on college campuses. 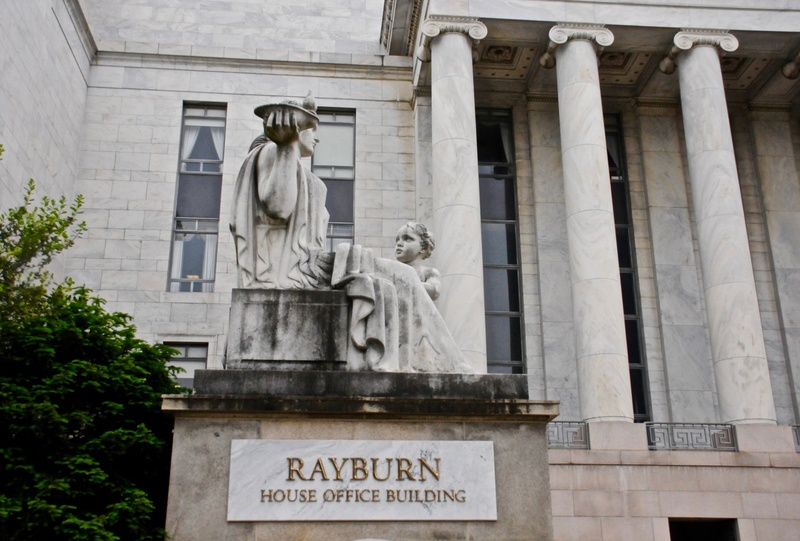 The Rayburn building on Capitol Hill. Rep. Raja Krishnamoorthi, a Democrat from Illinois who sits on the House Committee on Education and the Workforce, said in a May interview that the social group provision drew little to no attention during the committee’s mark-up of the draft bill in December. Krishnamoorthi said the “accessibility of higher education”—not policies related to campus social groups—comprises the “number one issue” in the PROSPER Act. Michael Woeste, a spokesperson for the Committee on Education and the Workforce, appeared to agree with Krishnamoorthi. Asked in part which components of the bill the committee considers most important, he did not mention the social group provision. Ultimately, whether or not legislators view the social group provision as a priority may not matter, McCluskey said. He predicted the PROSPER Act will fail to pass regardless. 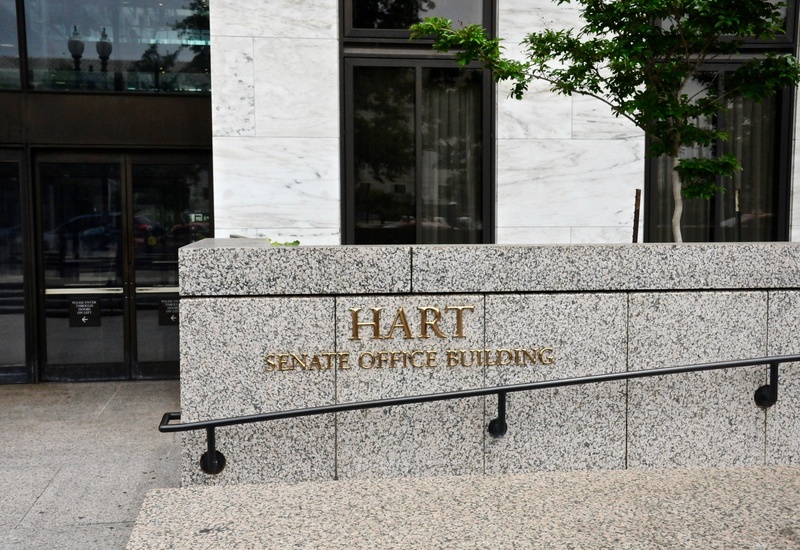 The Hart building on Capitol Hill. Corporation member Jessica Tuchman Mathews said in a May interview she also thinks the bill is doomed in Congress. “It’s a very, very remote possibility that thing goes anywhere,” she said. Some alumni of Cambridge single-gender social groups have said they will consider suing the University if they cannot stall the sanctions through legislation. Harvey A. Silverglate, a lawyer who has represented the Fly Club since the group retained legal counsel in Sept. 2016, wrote in an emailed statement in April 2018 that the decision to sue—not yet made—will depend in part on the outcome of the lobbying push. O’Neill promised the two coalitions he represents will continue the fight regardless of whether the PROSPER Act ultimately passes.